This post was sponsored by Evenflo as part of an Influencer Activation for Influence Central. I received the Evenflo Sibby Travel System to facilitate my review, all opinions are my own. When Zach was born I was showered with gifts from family and friends from swings and walkers to toys and everything in between. When I purchased my first stroller and car seat for him, I was only thinking about him. But what about moms who have children that are really close in age? How do they get around? Up until learning more about the Sibby Travel System by Evenflo, I just assumed that moms that have children close in age are just required to get several of every kind of baby gear– but that’s not really convenient. My friend is one of those moms. She has two sons ages 3 and 1 and 1/2 and she is currently 6 months pregnant. I always wondered how on early she ever got around with two little ones so close in age. The answer is the Sibby Travel System. 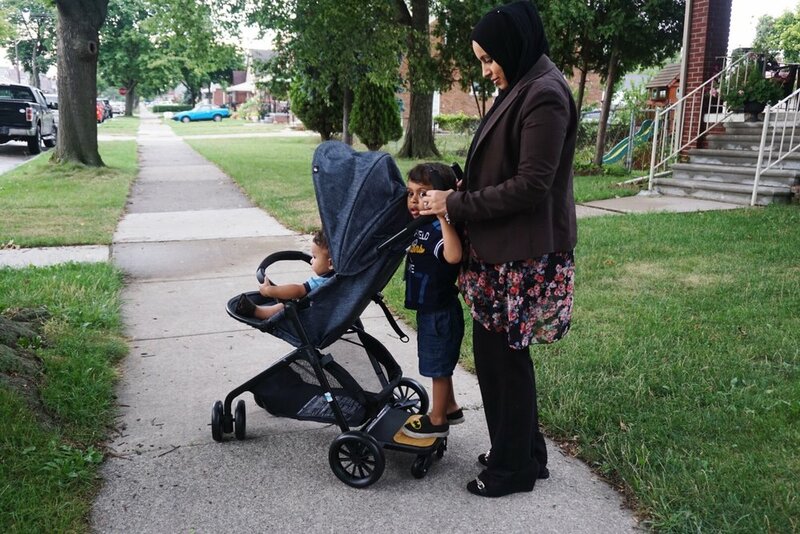 It is the perfect stroller for a growing family like hers. 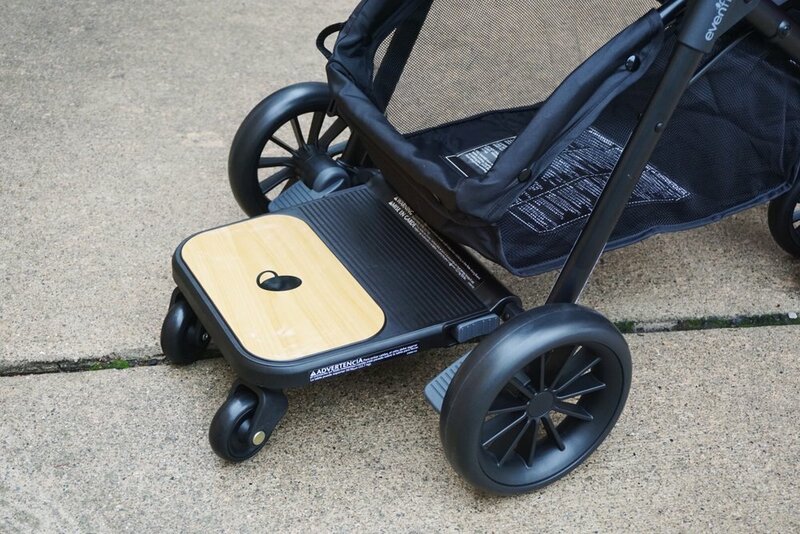 The Sibby offers a detachable Ride-Along board so it allows two children to ride at the same time, one on the board and one in the stroller. How awesome is that? It’s so much more convenient that a double stroller because sometimes you don’t need all of that room. Especially if you have an active toddler who loves walking along side you while you’re strolling the little one. But when he gets tired of walking, he can easily hop on board and stroll along with mom. It’s such a cute concept. When the board is not in use, you can easily fold it up with the hook on latch or you can detach it altogether. 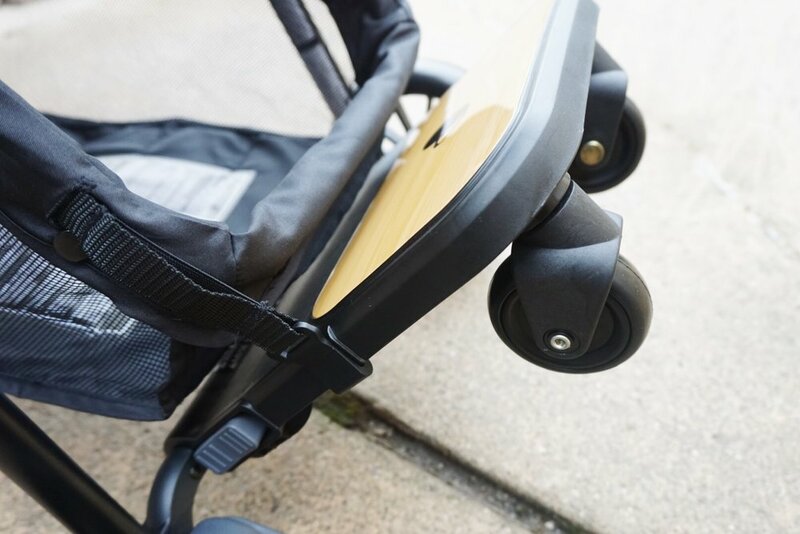 One of my favorite things about the Sibby Travel System is that it comes with a carseat which can easily be moved from the base to the stroller in one secure click. The car seat itself is very lightweight compared to the one I had when my son was a baby and I can actually carry this one! It has an ergonomic handle that’s designed for maximum comfort and stability while you’re carrying your little one. The stroller itself has various comfort levels for your little one as well. You can recline the seat all the way down while your child is sleeping, leaving it in between or upright with a simple adjustment near the back of the seat. You can also fold the leg rest up and down as your child’s comfort level allows. There is an added cupholder for convenience as well and the large hood protects your little one from the sun while you’re strolling on a sunny day. The stroller easily folds up nicely and the bar used for your child while in the stroller quickly becomes the handle you use to store it away when folded– they really did think of everything. There is also an oversized basket at the bottom of the stroller where you can place any items likes a small purse, snacks, toys, or whatever you may need it for. Overall, we love the Sibby Travel System and think it would make the perfect addition for your travel needs if you have little ones close in age. It makes it so much easier to go for a walk, run errands, or even travel when you have toddlers that love being in close proximity without all the added baby gear. It’s perfect. The Evenflo Sibby Travel System and the Ride-Along Board is available at Target. You can learn more about the Sibby Travel System on evenflo.com. The American Girl Store Opens at Twelve Oaks Mall!